The second story in the bestselling fantasy series The Power of Five by Anthony Horowitz. After his experiences at Raven's Gate, fourteen-year-old Matt Freeman thinks his days of battling evil are over. But he is pulled into another horrifying adventure when he discovers a second gate exists. Matt and his friend Richard travel to Peru and, assisted by a secret organization known as the Nexus, follow a series of clues to the gate's whereabouts. But there is a traitor in the Nexus... Richard is kidnapped. Matt manages to escape with the help of Pedro, a local boy. The pair travel to the Nazca desert and Matt realizes the horrifying truth: the Nazca lines are the second gate - it is about to open. But, this time, will he have the strength to prevent it? As usual, with any book that's in a series, I can't help but compare it to the books that came before. 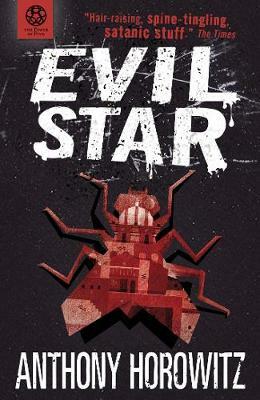 Whilst I thought Raven's Gate was really creepy, Evil Star was incredibly thrilling.